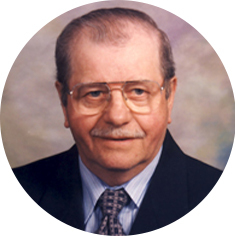 Erich Siebeneich, aged 89 years of Moose Jaw, SK passed away on Sunday, August 26th, 2018. Erich was born in 1929 on his parent’s farm in Jadwigen, Wolien Poland. On February 9th, 1954, he married Genowefa Skiba and they immigrated to Canada in 1959. Erich worked for the CN Rail in Mossbank, SK and moved to Moose Jaw in 1985, retiring in 1989. He was a member of Emmanuel Lutheran Church. Vati (Dad) had a love for gardening – especially his tomatoes and apple trees, fishing and family gatherings. Erich will be lovingly remembered by his wife, Genowefa; daughters: Elisabeth (Jim) Smith, Hilda, and Erika Linn; sons: Klaus (Rose), Carl (Mel), and Eric; 10 grandchildren and 7 great-grandchildren. The Funeral Service will be held on Friday, August 31st, 2018 at 11:00 a.m. in Emmanuel Lutheran Church, 15 Paul Drive, Moose Jaw, SK. Reverend John Kreutzwieser will officiate and interment will take place in Mossbank Cemetery. A Time of Visitation for Family and Friends will be held on Thursday, August 30th, 2018 from 7:00 to 8:00 p.m. in Moose Jaw Funeral Home. As an expression of sympathy, donations in Erich’s name may be made to Emmanuel Lutheran Church, 15 Paul Drive, Moose Jaw, SK S6J 0A1.